Great! Claire's Camera is a little gem, and I haven't had a chance to see the other one. Western is also a very impressive film, and will present some real transfer and authoring challenges, as a number of key scenes are unlit night shots where you can only barely make out what's going on (deliberately so). Too bright and you'll lose tension and ambiguity; too dark and it'll just be dirt soup. I'm in the opposite boat—I haven't seen Claire's Camera but did see On the Beach at Night Alone, and was so struck by it I rewatched it the next day. The handling of the female POV felt very different than anything I've seen from Hong and the whole thing is infused with this sort of optimistic melancholy (Happy Together comes to mind, even though nobody will ever mistake Hong for Wong). It's genuinely haunting in multiple senses of the word, with a seemingly supernatural aspect that I don't think Hong has done before. That's interesting, because I was struck by Claire's Camera being one of the most female-focussed Hong films to date. The one male character is not a focal one, and his main role is to help define / distinguish three women. Maybe he's decided that now that his life is one of his movies he should change things somewhat. The Fanciful Norwegian wrote: I'm in the opposite boat—I haven't seen Claire's Camera but did see On the Beach at Night Alone, and was so struck by it I rewatched it the next day. The handling of the female POV felt very different than anything I've seen from Hong and the whole thing is infused with this sort of optimistic melancholy (Happy Together comes to mind, even though nobody will ever mistake Hong for Wong). It's genuinely haunting in multiple senses of the word, with a seemingly supernatural aspect that I don't think Hong has done before. You need to go back to The Power of Kangwon Province to see Hong tackle the supernatural (better than almost anybody else does - if you're not paying close attention you might not even notice that dimension of the film). Woman on the Beach shifted gears to a genuinely female point of view somrewhere around its midpoint. Looking forward to eventually seeing Hong's latest. I don't think I've ever considered Hong Sang-soo's work as displaying supernatural flourishes (neither of the above-mentioned films), and it's not something I've read anywhere either. Curious what you have in mind regarding The Power of Kangwon Province. Re: the pleasures of the latest round of films, Hong's films centered around women have arguably been his best (Nobody's Daughter Haewon probably the best example that's been kicking around for a while) but I think Kim Minhee really brought something into the director's production that wasn't there before, particularly this kind of optimistic melancholy that others have mentioned. Having spent so much time with his work, Right Now, Wrong Then took me by surprise for how affecting it was, primarily a consequence of Kim's performance. The same quality is visible in On the Beach at Night Alone and Claire's Camera, and that's also why I found The Day After to be a bit of a letdown as her character in that film is generally marginal to principal dramatic conflict. It's also more difficult to watch without reading some degree of intentionality or autobiographical quality in it, which is certainly the least interesting way into Hong's work. I wonder why Cinema Guild didn't pick it up with the others (perhaps more costly for getting a Cannes comp slot), or why a company like Grasshopper Film doesn't just scoop up the undistributed titles on the cheap to fill out their catalogue, even if they just end up on streaming platforms. the man in black who carries off Younghee on the beach in Germany and then reappears on the balcony of a hotel room in Korea, without any acknowledgement from the multiple characters who enter and leave during the course of the scene. Hong being Hong there may well be some subtle clues pointing to a "logical" explanation (like, say, a dream sequence, a device Hong has used with some frequency), but I personally couldn't suss out any answer so neat, and I'm not the only one who feels that way—see, for example, Michael Sicinski's take. Supernatural or not I can't think of another figure of this sort of ambiguity in Hong's filmography. Just to update The Death of Louis XIV discs. Got my copy of The Death of Louis XIV. Couldn't be happier. The film will be in its original aspect ratio of 1.66:1 with a French Dolby Digital 5.1 soundtrack. Please add it to your Netflix queue, even if you've already seen the film or intend to purchase. Thanks! Hello. A question has come to me. In all websites mentioned that In the City of Sylvia's runtime is 84 min. While all versions are (1:21:46) min. I wanted to know Cinemaguild's version is really 84 min? And if no i'll be thankful to know why? Thanks again. That just sounds like a PAL speed up issue to me. Cinema Guild’s disc would be NTSC and run the same speed as the theatrical release. 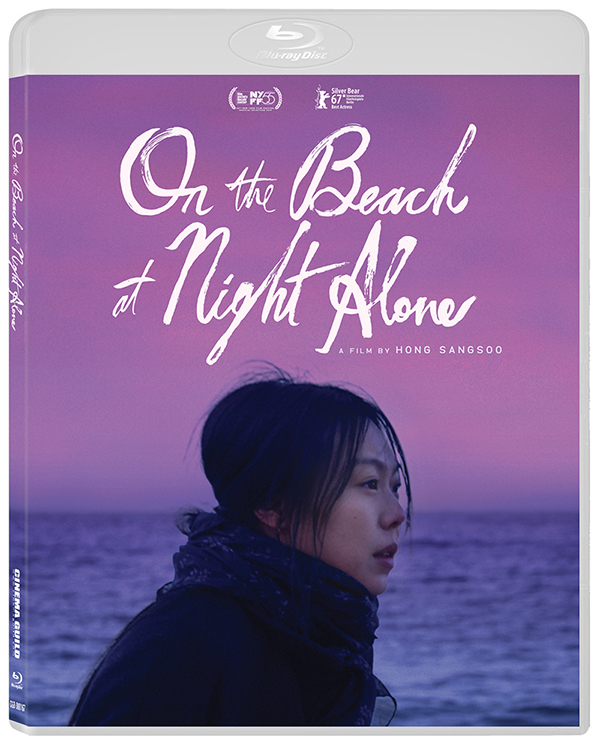 Question on Facebook: Will your latest Hong Sangsoo films get Blu-ray releases? 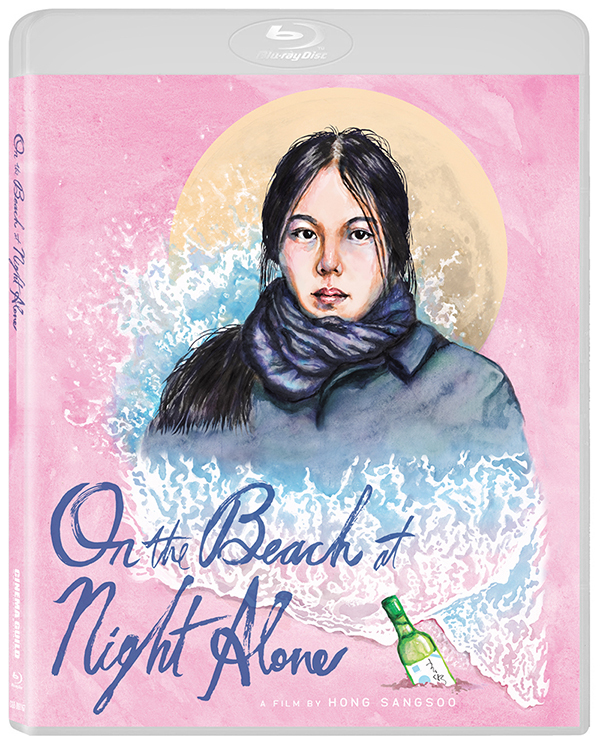 We just announced the Blu-ray and DVD of On The Beach at Night Alone. The Blu-ray will feature a reversible cover with our Alt-poster. Yeah, those are great! Haven't bought anything from CG before; this might be my first, I reckon. Western is available on Blu-ray and DVD today. Comes with a great essay by Dennis Lim. We will also be announcing our fall slate of Blu-ray releases very soon! I like how the Fall line up is plural. Greatly looking forward to it. Just realized I never replied to this: it's the mystery of the leaping fish. Crossing my fingers that the excellent Hale County This Morning, This Evening gets a Blu-ray release! That is great news. New Wave Films have just released Western in the UK, but only on DVD. Not much of a surprise here, but Cinema Guild has picked up Hong Sangsoo's 2018 films Grass and Hotel by the River. Scarred Hearts (via Big World, DVD), En El Septimo Dia (DVD and Blu-ray), The Day After (DVD and Blu-ray) and a new special edition of Marwencol (ditto) are all forthcoming.